Murlene (Mel) Spain became the president of the San Pedro Lions Club for the second time on Saturday, November 3rd during the Club’s 43rd anniversary celebration. 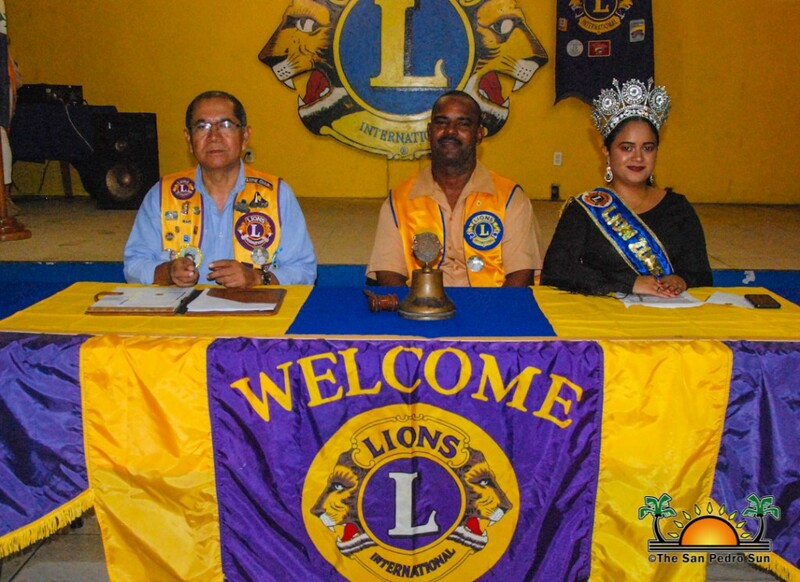 Hosted at the Lions Den on Barrier Reef Drive, the occasion also saw the installation of a new Board of Directors, including the welcoming of two new Lions, who were sworn in front of guests, local club members, and members from Lion Clubs from the mainland and Chetumal, Mexico. The local club is determined to continue working hard for the island community and becoming more involved in the development and well-being of San Pedro. Mistress of Ceremonies (MC) Enes Anderson called the installation program to order at 8PM, followed by the singing of the National Anthem. After the invocation was led by Lion Abel Guerrero, MC Anderson then asked for a moment of silence to remember recently departed Lion members. San Pedro Lions Queen Erica Bodden gave the welcome address. She commended the work the Club continues to do and shared words of encouragement. 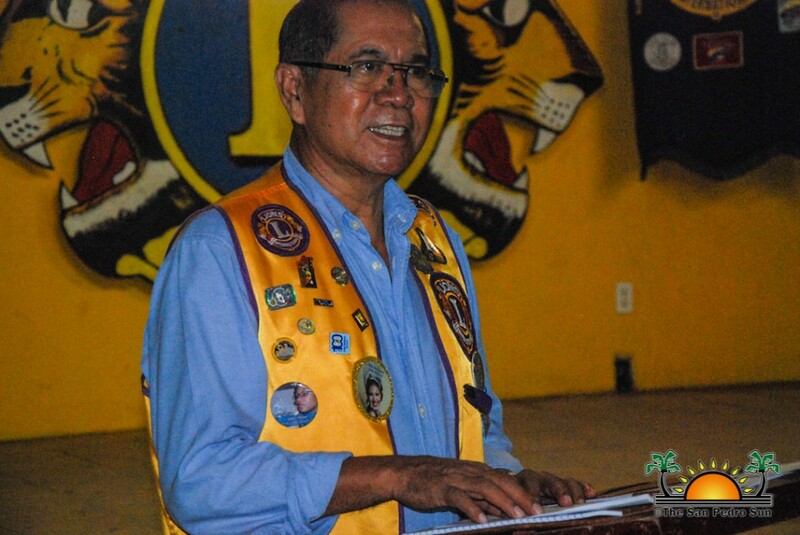 “We look forward to another wonderful year, a time to strengthen Lionism even further, a time to cherish even more memories,” said Bodden. 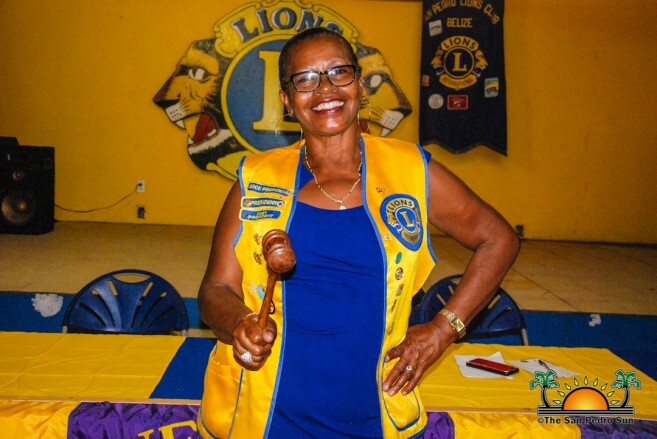 “It does not matter where you go in life or what you have, but what matters more is who you have with you along the way.” She invited everyone to continue promoting Lionism locally, domestically and internationally. Lion Baldemar Graniel took a few minutes to recognize visitors from Mexico, who simply could not miss out on the special occasion. It was also announced that the island’s Club was invited to participate in a convention to be held in Chetumal later in November. Afterward, Belize Zone 59 Chairman Moises Cal addressed the attendees. He spoke of the privilege to serve in the Lions Club. He spoke about the great benefits of being a member of the club which allows you to mingle with some of the finest people and lends the opportunity to better serve the community. He then proceeded to install the two new members to the club, Belki Nuñez, and Ivan Lopez. They were recommended by Lion Marina Kay as they stood in front of Cal to hear him read the responsibilities they would bear as members of the club. Kay then placed the Lions pin on their jackets, and the duo was then officially welcomed into the club. Immediately after, the new board was installed for the period 2018-2019. Each of them was called forward to accept their appointment. The new Board of Directors consists of President Mel Spain, Vice President Everette Anderson, Treasurer Abel Guerrero, Shelley Huber as Tail Twister, Valdemar Graniel as Lion Tamer, Pamela Zetina as Secretary, and Fatima Graniel will be in charge of Membership. Out-going Lion President Nigel Belisle thanked everyone for their support during his tenure and then passed on the mandate to new incoming President Spain. The new president stated that she felt privileged to head the club once more. Spain, who served as the 2012/2013 president, highlighted that the club has faced difficulties in the past years, but that they will continue striving to become one of the strongest clubs once again in the country. She sent a message to the entire island community that it is time to work together to get things done and the San Pedro Lions Club will always be there for the Islanders. “Our motto says that we must serve, and we will continue to do so,” said Spain. 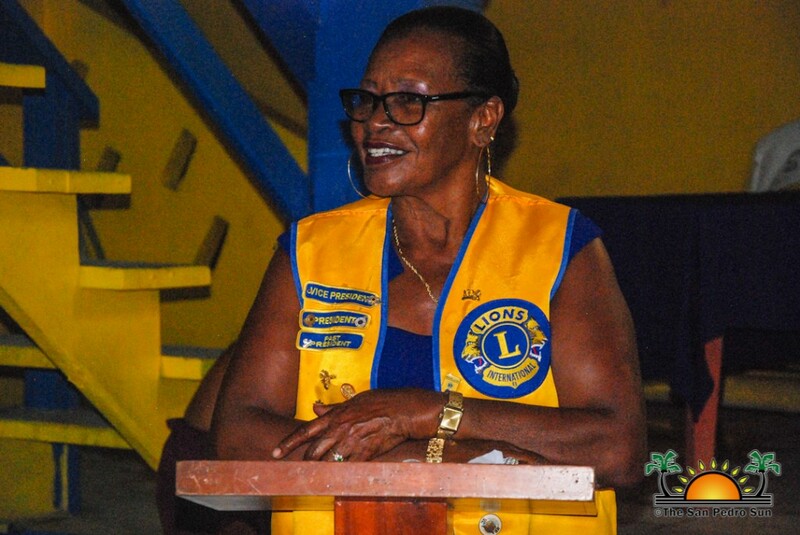 Lion Fatima Graniel gave the vote of thanks, expressing gratitude to the community and everyone who have always supported the Lions Club. She also invited everyone to enjoy the rest of the evening as the installation program concluded. The formalities were closed with the Lions song and followed by socializing the remainder of the evening. 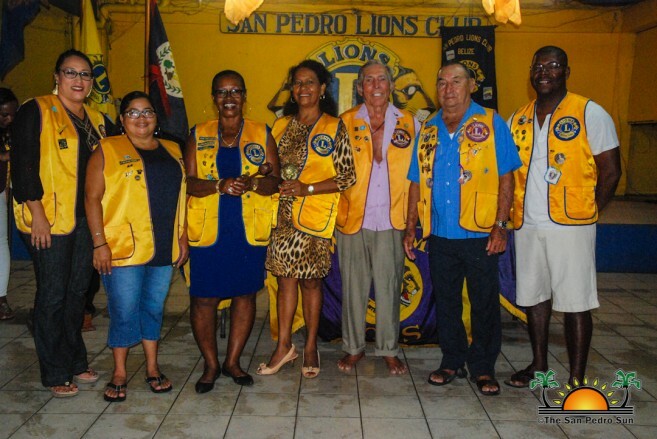 The San Pedro Lions Club was founded in 1975, and since then it has contributed immensely to the island community and was instrumental in the opening of the island’s polyclinic. They continue hosting brigades of medical personnel every year offering free medical services to all island residents. The San Pedro Lions Club is always looking at different ways in how they can better La Isla Bonita, and for this new period, they expect to continue to impact the community positively. Gwen Lizarraga Girls & Sadie Vernon boys are basketball champs!